Between Marmora, France and Entraque, Italy. Photo credit: Philipp Reiter / Red Bull Content Pool. 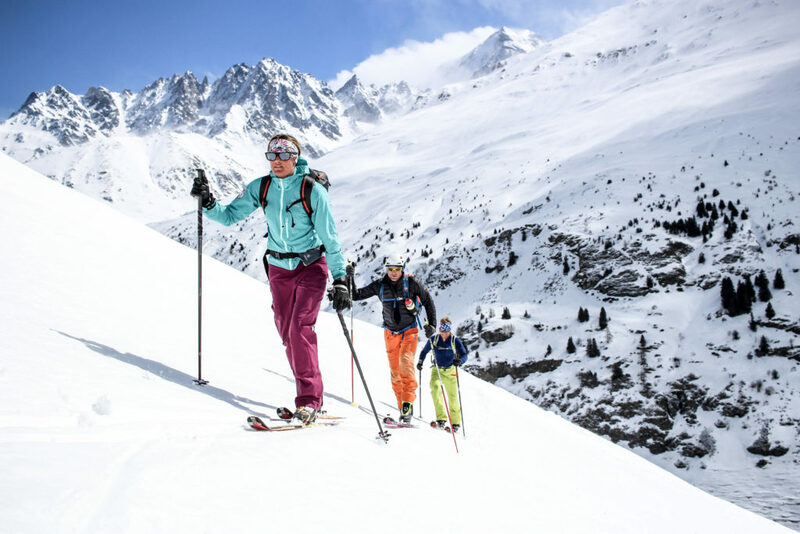 A multinational team has completed a 1,721-kilometre ski tour across the European Alps. Starting in Reichenau an der Rax in the Austria, Bernard Hug, Phillip Reiter, David Wallman, Janelle Smiley, and Mark Smiley finished their journey in Nice, France, after 36 days. 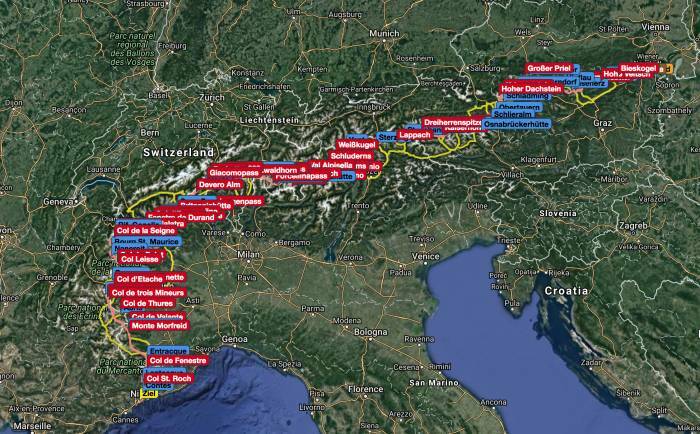 Known as the Der Lange Weg — the Long Way — the route traverses the Alps from Austria through Italy and Switzerland to France. 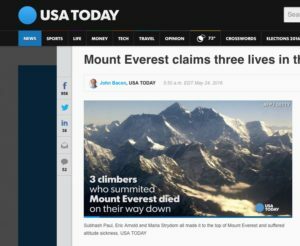 It involves 89,644 metres of climbing, including over a number of high mountain summits. 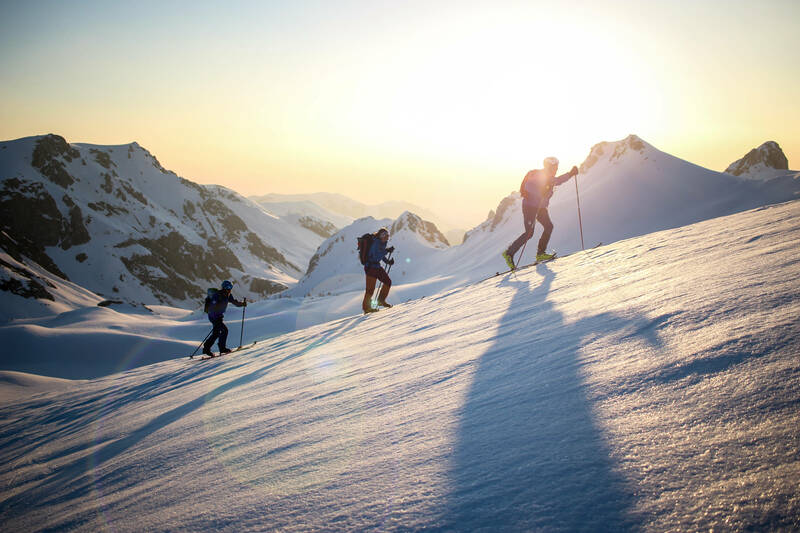 The endeavour was inspired by the efforts of four Austrian ski mountaineers. In 1971, Robert Kittl, Klaus Hoi, Hansjörg Farbmacher and Hans Mariacher first skied the route over 43 days, backed up by a support vehicle. The 2018 team largely followed the 1971 route, but had to exclude peaks such as Mont Blanc and Piz Palu due to bad weather or avalanche danger. 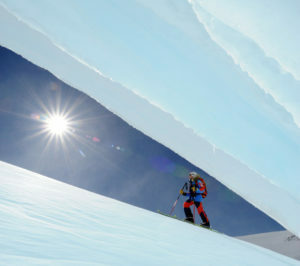 Indeed, the team turned around only 130 metres from the summit of Mont Blanc because of treacherous snow conditions. It was really tough. Every day, you had to recharge your energy to re-focus and move forward step by step. These 14-hour days cost a lot of physical energy. 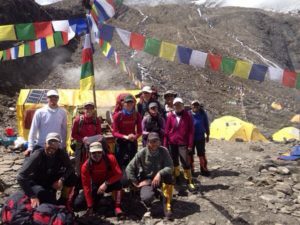 And we had to adapt the route very often and to reorganize again and again because the weather was very difficult. This took a lot of mental energy. Two further members began the trek but had to withdraw for unspecified reasons. The expedition was sponsored by Red Bull. At this time, there’s no information on the number of caches or other aspects of support.